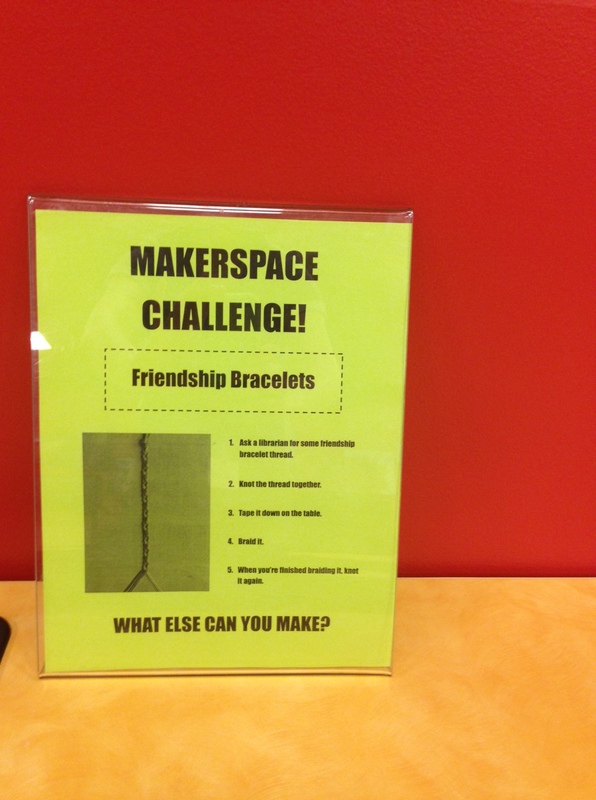 As I mentioned in my last post, I started up a kid-friendly makerspace at my library. This makerspace is open all day and kids are encouraged to use their creativity to make whatever they want. However, I also decided to have a monthly challenge for those kids who either 1) likes a challenge, or 2) needs a little help coming up with something to make. My typed up instructions are for the traditional braided friendship bracelets, but I did put out several books on friendship bracelets for those who wanted to do something more challenging. Rainbow loom bracelets probably would have been more popular. I’m showing my age with the traditional friendship bracelet thing. We initially kept the thread at the computer sign up desk because we were afraid that it would go too quickly. A few kids asked for the thread, but mostly it just sat on the desk. 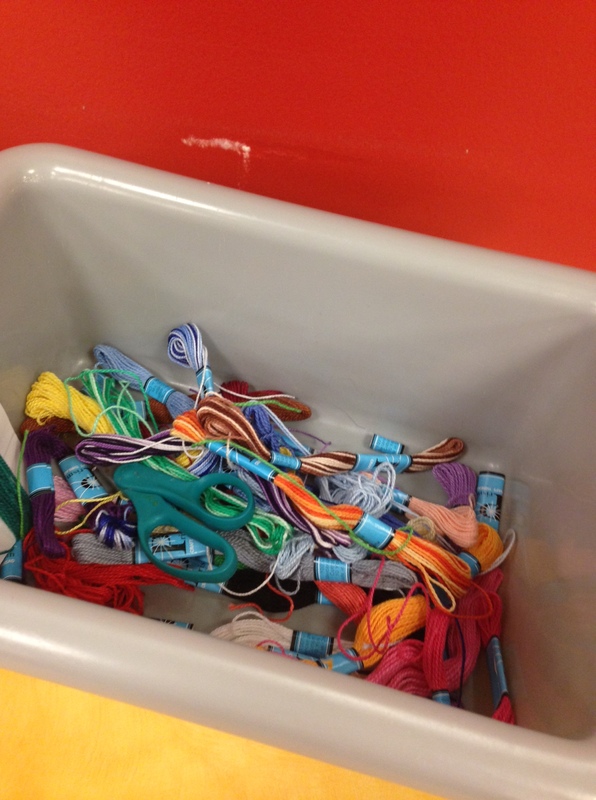 After the first week, I moved the thread into the makerspace, and more kids have been participating in the challenge. I’ll be changing the makerspace challenge every month, and it’ll be interesting to see which challenges will be popular and which ones will be ignored in favor of the child creating his/her own project. As of right now, I’d say that the friendship bracelet challenge has had a mild to moderate response. But that doesn’t necessarily mean that I wouldn’t do it again in the future.